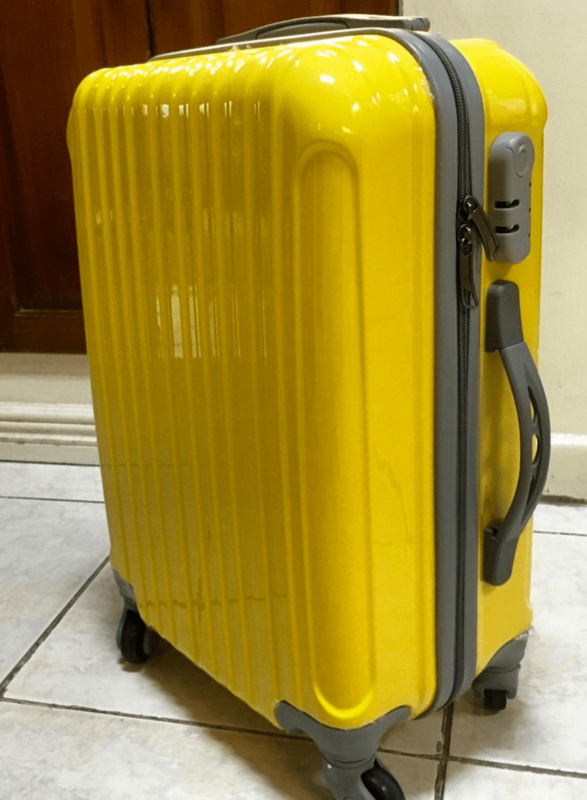 As some of my blog readers may (or may not know) I tend to only use a carry-on when I travel. I wrote about it here once and listed all I bring on a 12 or more day trip. The reason being is so that I’m not lugging around a monster piece of luggage, weighing me down. That being said, I DO come home sometimes with it WEIGHING more than it did going, or with an additional bag, because of the “treasures” I find along the way and want to bring home. Enough outfits for a week. This doesn’t necessarily mean 7 pairs of pants or shorts or 7 shirts or blouses. Depending on my destination, I am most often able to mix and match my tops and bottoms and add my accessories (ie pashminas or necklaces) to “change it up” enough to seem like a new outfit. I usually bring 2 pairs of pants and 1 pair of shorts, 2-3 tshirts, 2-3 tank tops and a long sleeve blouse or shirt as well as 5 days worth of undies (I can always wash them up in a hurry in my bathroom). A tshirt and some boxer shorts makes for great sleep wear and takes up very little space. 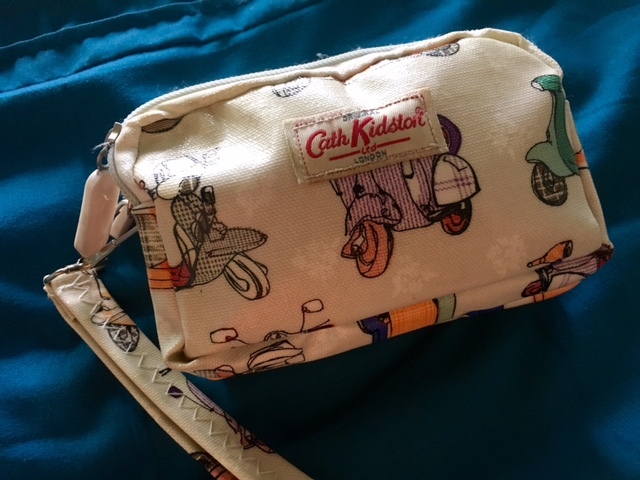 Also a canvas bag to keep dirty clothes in while traveling and for your extra pair of shoes to stow in your suitcase. I have a toiletry kit, that is “always packed”. It’s about 6 inches long by 4 inches high and 4 inches deep. 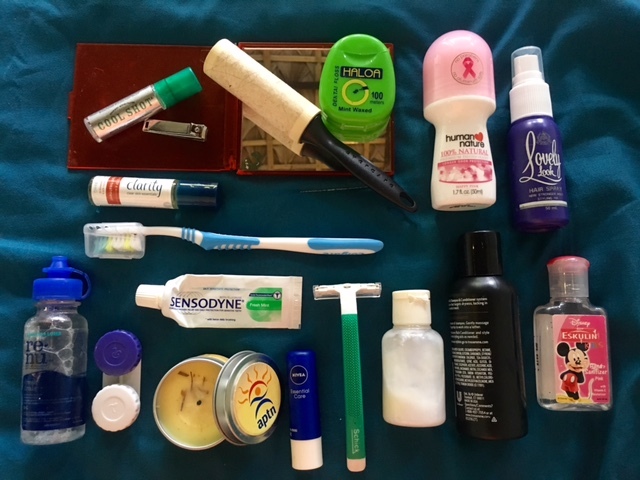 In there I have everything, and in small bottles – body wash, lotion, sunscreen, toothbrush & paste, deo, razor, nailclippers, dental floss, lint brush, contacts & solution, hair conditioner, a candle, acne zapper, mouthwash, hairspray, hand sanitizer, little mirror and chapstick. 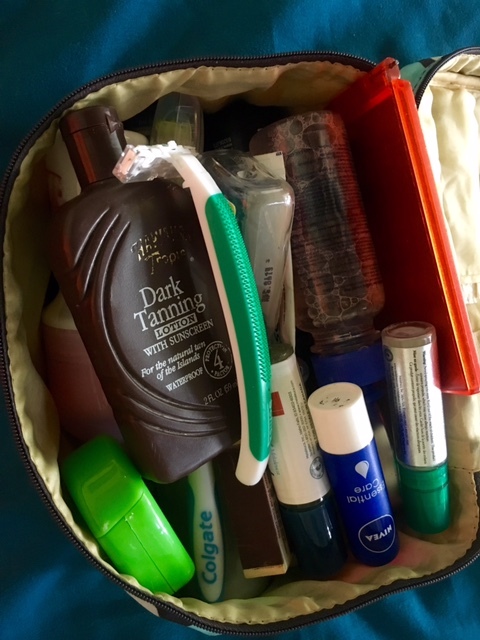 Side note: when it comes to hairspray/conditioner/lotion – I find small bottles and put some of my stuff in them – then I don’t have to bring the big bottles from home. Saves COPIOUS amounts of space in your carryon, and is under the 100ml limit for carry-ons. SCORE! I also have a small sewing kit from one of the hotels I have stayed at in the past – I can’t tell you how many times a button has popped off of my or my guests clothes, or a safety pin is needed. LIFE SAVOR. I also carry a small “medicine” kit. 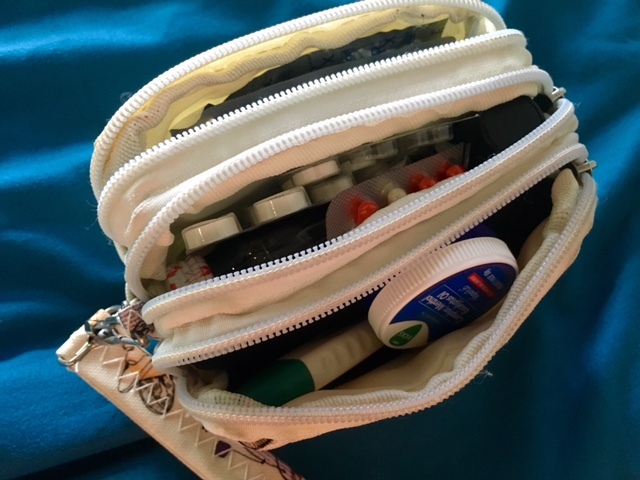 It houses all my general meds – pain relievers, anti-inflammatories, advil, allergy pills, muscle relaxants, bandaids, muscle ointment (see a theme here? Yes, I have to baby my back! ), thermometer, vicks vaporub. It’s my wee pharmacy. Just in case and so I don’t have to try and find a pharmacy in a pinch or suddenly. I always keep this ‘stocked’ too, and have it ready to throw into my carry-on. A few small ‘gifts’ I bring with the people I stay with or my Airbnb hosts as well as a few little thank you cards. A printed itinerary and passport copy as well as any other reservations in case wifi or 3G fail me are also stowed in there. 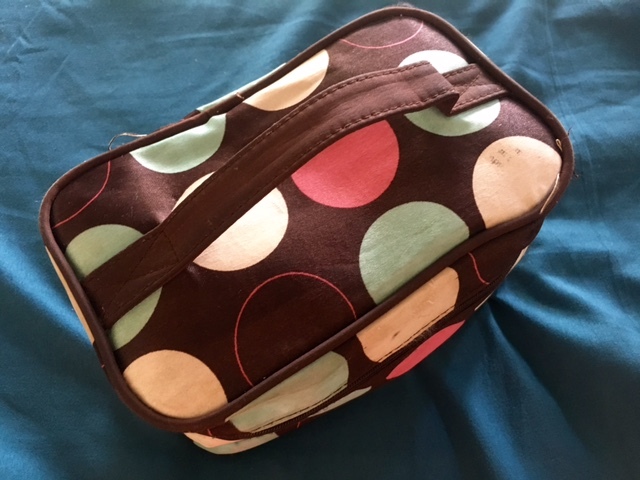 Lastly I pack a small pouch that is the home to hair ties, bobby pins, bracelets, necklaces, and some earrings that will I change from day to day. How do you pack? Let me know, I’d love to know some new tricks to packing light! For More info on this years great Travel Experiences & RoadTrips to Morocco, Turkey, Italy, Portugal and Spain, check out our website!